Kohlrabi, also known as knol-khol or German Turnip or in hindi it's known as Gaanth Gobi and in my language, Bengali, we call it Shalgam. It is a stout, round, tuberous vegetable in the Brassica family, the family that also includes cabbage, broccoli, cauliflower, kale, collard greens, and brussels sprouts. This stem vegetable is native to Europe. Mildly sweet, crispy textured kohlrabi is notably rich in vitamins and dietary fiber; however, it has only 27 calories per 100 g, a negligible amount of fat, and zero cholesterol. This attractive stem vegetable is available at its best during winter months from November until March. 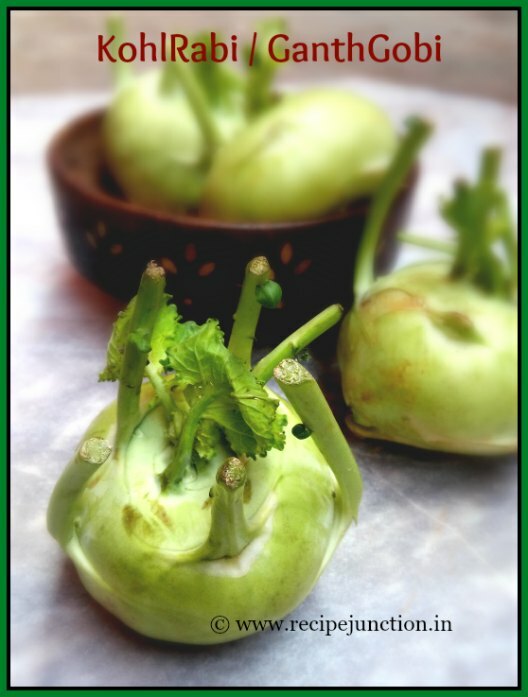 Fresh kohlrabi stem is rich source of vitamin-C; provides 62 mg per 100 g weight that is about 102% of RDA. 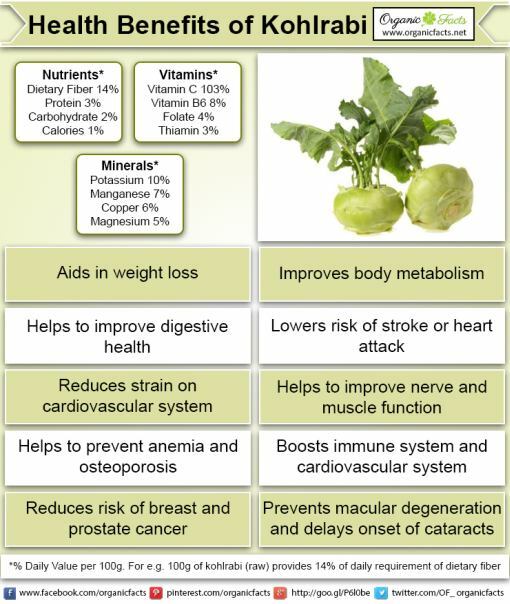 Kohlrabi, like other members of the Brassica family, contains health-promoting phyto-chemicals that are supposed to protect against prostate and colon cancers. Knol-knol notably has good levels of minerals; copper, calcium, potassium, manganese, iron, and phosphorus are especially available in the stem. Potassium is an important component of cell and body fluids that helps controlling heart rate and blood pressure by countering effects of sodium. Manganese is used by the body as a co-factor for the antioxidant enzyme. In addition, its creamy color flesh contains small amounts of vitamin A, and carotenes. 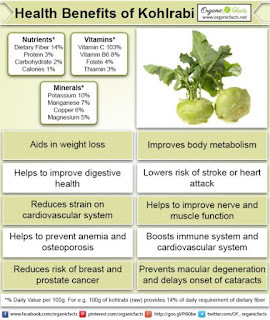 Kohlrabi leaves or tops, like turnip greens, are also very nutritious greens abundant in carotenes, vitamin-A, vitamin K, minerals, and B-complex group of vitamins. So here I gave you enough reason to add this vegetable in your daily diet. 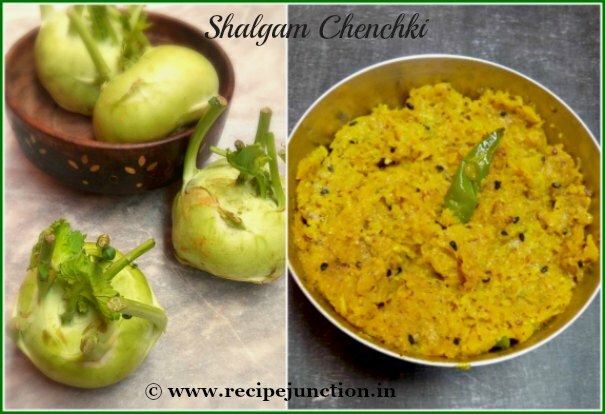 Here I'll share How I cook Kohlrabi or Knol-Khol or Gaanth Gobi. This was an experiment and it was successful and it tasted great. 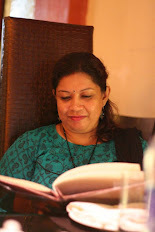 So sharing and recommending you all to try it once. Kohlrabi/gaanth gobi : 3-4 nos. Green chillies : 1-2 nos. Mustard seed : 1 and 1/2 tsp. Wash, dry and then peel the thick skin of kohlrabi. Then grate them very finely. Make a fine paste of mustard seed and green chillies. You can also omit the green chillies if you want. Heat oil in a pan, temper with black cumin seed, let it fry for a minute. Then add grated kohlrabi. You will see little water is coming out of the vegetable, let it dry. Then add salt, turmeric powder and red chilli powder. Stir for a minute and two. Then pour 1 cup of water and let it cook further by covering the pan with a lid. When it's half done, add the mustard paste and mix well with the vegetable. Add sugar in it and stir fry the vegetable by continuous stirring. Season with salt if needed. When all the moisture dries up completely, remove from heat. Can also sprinkle some fresh coriander leaves if you wish. 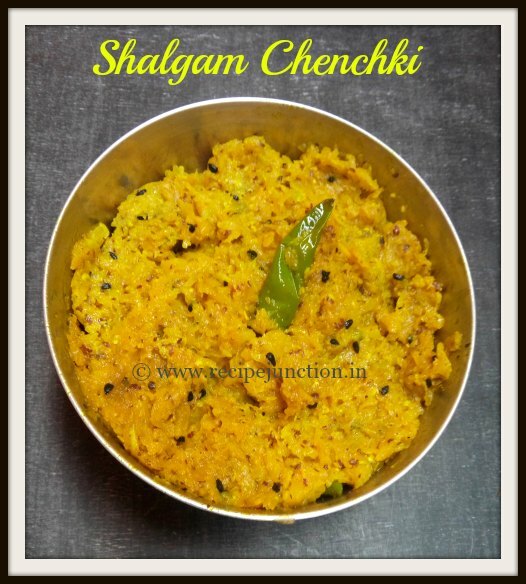 Serve it with just hot rice...enough for a full meal.